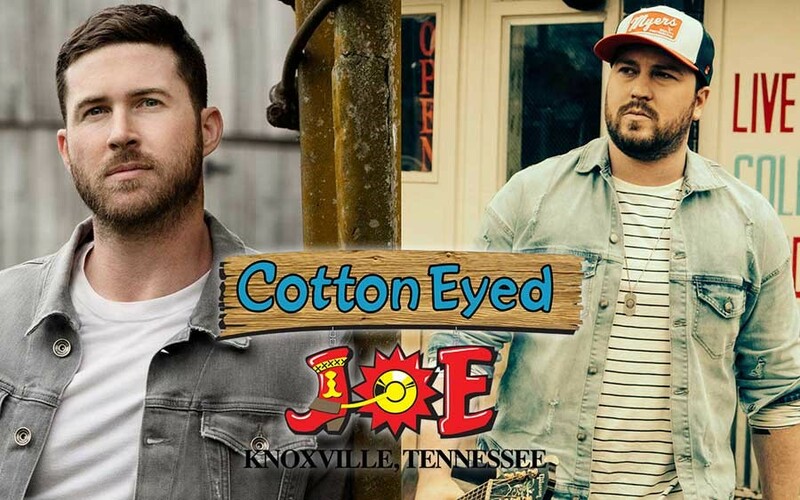 COTTON EYED JOE WELCOMES MITCHELL TENPENNY & RILEY GREEN IN OCTOBER | 2911 Enterprises, Inc.
KNOXVILLE, Tenn. – For over 25 years, the Cotton Eyed Joe has served as the hottest night club in all of East Tennessee. In fact, this year it won the ACM (Academy of Country Music) Industry Award for Nightclub of the Year! The ‘Joe’ was already awesome, but it’s about to get a whole lot better! From complete renovations to new offerings, the “Joe” has a totally updated atmosphere, perfect for concerts. Four bars to serve your favorite beverages and the hottest, new music with the largest dance floor in town! Plus, dozens of pool tables, dart boards, video games, a mechanical bull and the best priced specials served nightly by a friendly and courteous staff. Part of the “Joe’s” renovations include new flooring, dance floors, lighting, and pool tables. Coming soon they will have updated restrooms and a permanent stage for their world-famous performances! Arriving at the ‘Joe’ has never been better because the valet parking services have been enhanced. An all new menu will be making its debut sometime soon at the ‘Joe’. It will be filled with usual pub fare bar food, plus many delicious fresh food choices. 18+ are always welcome at the Cotton Eyed Joe! CEJ has weekly specials, too, so club goers can have a good time while also saving some cash. In addition to dancing and enjoying your favorite cold beverage, there are many other fun things to do at Cotton Eyed Joe. From video games, to pool tables, or taking a ride on the mechanical bull, it would be impossible not to have a good time at the “Joe.” Additionally, there are also games like Jenga, darts, and foosball. Over the years, the Cotton Eyed Joe has housed many incredible performances. Artists include Chris Stapleton, Thomas Rhett, Cole Swindell, Chris Janson, Uncle Kracker, Eli Young Band, Dan + Shay, Montgomery Gentry, Brothers Osborne, Aaron Lewis, Joe Nichols, Kane Brown, Chris Lane, Old Dominion, Chase Bryant, Tyler Farr, Morgan Wallen, Maddie and Tae, Bret Michaels, Colt Ford, Gary Allen, Lauren Alaina, William Michael Morgan, Chase Rice, Michael Ray, and many more! In 2017, Chuck Ward, a real estate investor purchased Cotton Eyed Joe as his “new project.” Less than a year later, the Joe was named “Nightclub of the Year” by the Academy of Country Music. With renovations, concerts, and special events happening weekly, more than 3,000 people occupy the “Joe’s” 25,000 square foot building and dance on the 2,500 square foot dance floor. The “Joe’s” décor includes signed memorabilia, western gear, and a DJ booth made from an actual semi-truck. Those 18+ are always welcome for shows and a good time.